We’re giving away an HP MediaSmart server + 1 terabyte of storage! 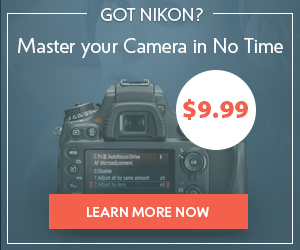 New to Photodoto? Please subscribe to our RSS feed or mailing list (on the sidebar)! 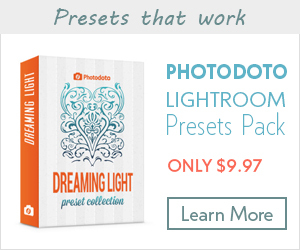 Photodoto is filled with interesting articles for photographers from beginners to pros. Every week, we publish unique content you won’t find anywhere else. HP has very generously offered to give away one of their snazzy MediaSmart Servers—the EX490 with 1 terabyte of storage—to one lucky Photodoto reader! This giveaway is sponsored by HP. I haven’t used one of these but it’s an impressive bit of hardware on paper. In a few years, I wouldn’t be surprised to find new homes being sold with home media servers pre-installed—toilet, check; internet, check; media server, check. Automatically backup important files on multiple PCs or Macs on your home network. Automatically collect, organize, and centralize your media files. Publish photos directly from the server to Flickr, Picasa, Facebook, and Snapfish. Share private photo albums with family and friends. Stream photos, music, and videos to your TVs, gaming consoles, and computers. Convert videos into formats that can be played on gaming consoles and mobile devices like iPhones. 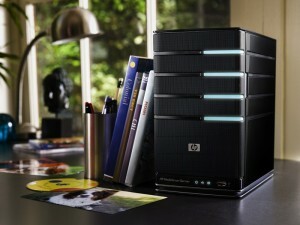 Find out more about the HP MediaSmart servers at HP’s website. To enter: leave one comment on this blog post explaining how you would use the MediaSmart server. Include your full name and email address (email addresses are not published or shared but are required for verification and to contact the winner). One entry per person. Entries must be received by midnight November 6, 2009 (Pacific time). One winner will be selected randomly. The winner will be announced on Photodoto.com on or around November 6, 2009. Please subscribe to our feed or mailing list (on the sidebar)! 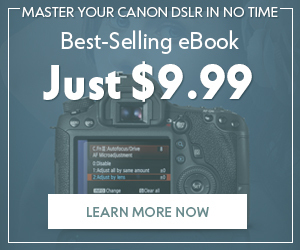 Photodoto is filled with interesting articles for photographers from beginners to pros. Every week, we publish unique content you won’t find anywhere else. 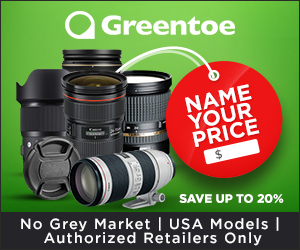 Sweepstakes is open to all U.S. Citizens that are legal residents of the United States except Puerto Rico and other U.S. territories and employees of Photodoto and its affiliates, subsidiaries, advertising and production agencies, and their immediate families and household members are not eligible. Must be 18 years of age or older to enter as of promotion start date: October 22, 2009. All federal, state, and local laws and regulations apply. Void where prohibited or restricted. By entering this Sweepstakes, participants agree to be bound by these Official Rules and the decisions of Photodoto and/or its agents. Odds of winning prize depend on the number of eligible entries received. One Winner will be randomly drawn from all eligible entries received. 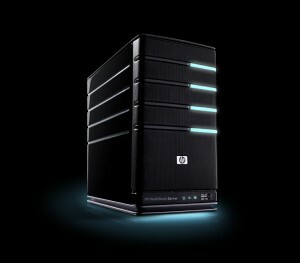 The Winner will receive an HP MediaSmart server model EX490 (total value: $550) shipped directly from HP or their agent. Winner is responsible for all federal, state and local taxes associated with acceptance and use of prize. Prizes are not transferable. No substitution of prizes permitted except at Photodoto’s option, including Photodoto’s right to substitute a prize of equal or greater value if advertised prize is unavailable. Winners will be selected in a random drawing on or about November 6, 2009 from the aggregate of all eligible entries received. Awarding of prizes will be conducted by Photodoto, whose decisions are final on all matters relating to the promotion. Photodoto will notify the Winner via e-mail. If the Winner cannot be contacted within 72 hours of notification, an alternate Winner will be selected from the remaining eligible entries. Any prize notification or prize returned as undeliverable will be forfeited and awarded to an alternate Winner. Prize will be mailed to the U.S. mailing address provided by the Winner. The Winner will be required to provide a valid U.S. mailing address and phone number. Photodoto and its promotional and advertising agencies, and all respective officers, directors, employees, representatives and agents of each, shall have no liability and shall be held harmless by Winners for any damage, loss or liability to persons or property, due in whole or part, directly or indirectly, by reason of the acceptance, possession, use or misuse of prize or participation in this promotion. Photodoto reserves the right, in its sole discretion, to cancel, terminate, modify, or suspend part or all of this promotion should virus, bugs, unauthorized human intervention or other causes beyond the control of Photodoto corrupt or impair the administration, security, fairness or proper play of the promotion. Photodoto and its promotion and advertising agencies, and all respective officers, directors, employees, representatives and agents of each, are not responsible for technical, hardware, software or telephone failures of any kind, lost, interrupted or unavailable network connections, fraud, incomplete, garbled or delayed computer transmissions, whether caused by Photodoto, users, or by any of the equipment or programming associated with or utilized in the promotion or by any technical or human error which may occur in the processing of submissions which may damage a user’s system or limit a participant’s ability to participate in the promotion. Photodoto reserves the right at its sole discretion to disqualify any individual Photodoto reasonably believes to have tampered with the entry process or with the operation of the promotion, or who is found to be acting in violation of these Official Rules. This Sweepstakes is intended and limited for play in the United States and shall only be construed and evaluated according to United States law.